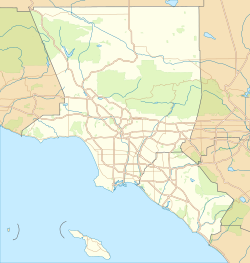 Tarzana /tɑːrˈzænə/ is a neighborhood in the San Fernando Valley region of the city of Los Angeles, California. 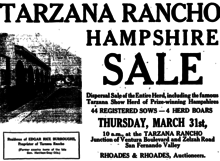 Tarzana is on the site of a former ranch owned by author Edgar Rice Burroughs. It is named after Burroughs' fictional jungle hero, Tarzan. The area now known as Tarzana was occupied in 1797 by Spanish settlers and missionaries who established the San Fernando Mission. Later absorbed by Mexico, the land was ceded to the United States in 1848 by the Treaty of Guadalupe Hidalgo following the Mexican–American War. Under US rule it evolved into a series of large cattle ranches owned by local elites. Investors took over in the 1870s, turning grazing into large-scale wheat farm operation. The area was purchased in 1909 by the Los Angeles Suburban Homes Company. LA Times founder and publisher General Harrison Gray Otis invested in the company and also personally acquired 550 acres (2.2 km2) in the center of modern-day Tarzana. 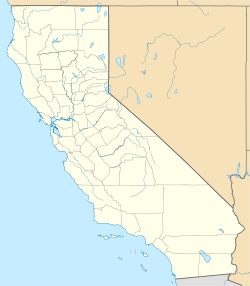 In February 1919, Edgar Rice Burroughs, author of the popular Tarzan novels, arrived in California with his family, relocating from Oak Park, Illinois. He and his family had wintered in Southern California twice before, and he found the climate ideal. On March 1, Burroughs purchased Otis’s tract and established Tarzana Ranch. Burroughs subdivided and sold the land for residential development with neighboring small farms following suit. 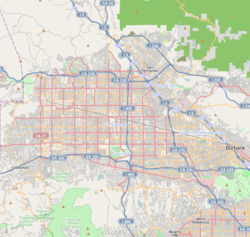 Tarzana, which measures 8.79 square miles, is bounded on the south by Topanga State Park, on the east by Encino, on the north by Reseda and on the west by Woodland Hills. Victory Boulevard marks the northern edge of the neighborhood, Lindley Avenue the eastern, Corbin Avenue, with a jog to Oakdale Avenue, the western, and Topanga State Park the southern. The U.S. census counted 35,502 people living in Tarzana in 2000, and Los Angeles estimated the neighborhood's population at 37,778 in 2008. There were 4,038 people per square mile, among the lowest population densities in the city. According to the 2000 U.S. Census, the racial composition was predominantly white (70.7%), followed by Asian (5%), and black or African American (3.6%). The Los Angeles Times considered the area as "moderately diverse". Thirty-five percent of the population was foreign-born. Iran (24.2%) and Mexico (12.1%) were the most common foreign places of birth. The percentage of divorced men and women was among the county's highest. Some 9% of the residents were military veterans, considered high for the city of Los Angeles. The percentages of residents aged 50 and older were among the county's highest. The median age, 38, was old when compared to the rest of the city and the county. The median household income in 2008 dollars was considered high, at $73,195. Austin Brown, singer-songwriter and producer, Rebbie Jackson's son and Michael Jackson's nephew. A total of 40.3% of Tarzana residents aged 25 and older have earned a four-year degree. Percentages of those residents with a bachelor's degree or with a master's degree are also high for the county. Columbia College Hollywood, a private nonprofit film school on Oxnard Street. The Los Angeles Public Library operates the Encino-Tarzana Branch on Ventura Boulevard in Tarzana. The Tarzana Recreation Center has a gymnasium that also is used as an auditorium; the building's capacity is 600. The park also has barbecue pits, a lighted baseball diamond, lighted outdoor basketball courts, a children's play area, a community room, an indoor gymnasium without weights, picnic tables, and lighted volleyball courts. Caballero Canyon, located on the north side of the Santa Monica mountains in Tarzana offers multiple trails for hiking, mountain biking and unobstructed views of the San Fernando Valley. There is a 3.6 mile loop trail located here that is moderately trafficked and allows dogs on a leash. At the top of the trail hikers and mountain bikers will see signs leading the entrance of Topanga State Park. There are no fees or permits required to hike Caballero Canyon. Portola Middle School in Tarzana was used as a location for the films The Karate Kid, Akeelah and the Bee and Thirteen. The Disney Channel show Bizaardvark takes place in Tarzana. Tarzana Armenian Deli in Tarzana was used as a location for the HBO TV show Six Feet Under. Season 2 and 13 The Bad Girls Club was filmed in Tarzana. Some episodes of A&Es Intervention TV series featured Tarzana Treatment Centers. ^ "Tarzan Swings Without Tarzana". Los Angeles Times. June 14, 1999. ^ Laura Pulido; Laura Barraclough; Wendy Cheng (24 March 2012). A People's Guide to Los Angeles. University of California Press. p. 324. ISBN 978-0-520-95334-5. Retrieved 19 August 2012. ^ Griffin, Scott Tracy (2012). Tarzan: The Centennial Celebration. Titan Books. pp. 276–278. ISBN 978-1781161692. ^ "Monthly Averages for Tarzana". www.weather.com. Retrieved October 31, 2017. 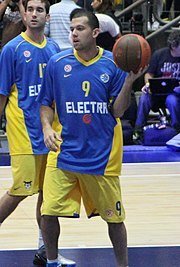 ^ Cieply, Michael (18 April 2012). "Paul Thomas Anderson Film May Be About Scientology". The New York Times. ^ Strauss, Bob (January 8, 2014). "I was born in Orange County, but I moved to Los Angeles when I was one or two and lived in Tarzana". BBC. 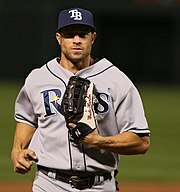 ^ Jenkins, Lee (April 3, 2006). "The Bruins Let Farmar Do the Talking". The New York Times. ^ "YouTube stars Rosanna Pansino & HuskyStarcraft plop out nearly $4 million in Tarzana – Yolanda's Little Black Book". ^ FUENTES, GABE (August 23, 1987). "Missing Man Is Accused of Murdering Wife". Los Angeles Times. Retrieved 4 November 2012. ^ NetworkA (15 January 2013). "Paul Rodriguez Life: The Other Half Ep. 5, Part 2" (Video upload). YouTube. Google, Inc. Retrieved 17 January 2013. ^ Vitello, Paul (2014-06-27). "Bobby Womack, Royalty of the Soul Era, Dies at 70". The New York Times. ISSN 0362-4331. Retrieved 2016-01-06. ^ Trulia (November 2014). "Iggy Azalea And Nick Young Buy Selena Gomez's Mansion". Forbes. Retrieved 12 November 2014. ^ "Birmingham Community Charter High School Renewal Charter Petition Submitted to the Los Angeles Unified School District October 29, 2013 For the term July 1, 2014 – June 30, 2019." (Archive) Los Angeles Unified School District. ^ "Encino - Tarzana Branch Library". Los Angeles Public Library. Retrieved on December 6, 2008. ^ "Tarzana Recreation Center". City of Los Angeles. Retrieved on March 19, 2010. ^ "Caballero Canyon Trail in the Santa Monica Mountains". www.hikespeak.com. Retrieved 2017-07-01. This page was last edited on 17 April 2019, at 05:15 (UTC).